Brttiany Ann Fullenkamp, of Galion, the daughter of Ray and Carla Fullenkamp, of Botkins, Ohio, is engaged to marry Joseph Baker, also of Galion, who is th son of Ted and Julia (deceased) Baker. The couple will be married at Immaculate Conception Catholic Church in Botkins, Ohio on Oct. 6, 2018. Fullenkamp attended and graduated from Botkins High School and Rhodes State College. She is the office manager for St. Joseph Catholic Church. Courtesy photo Brttiany Fullenkamp and Joseph Baker will be married Oct. 6 in Botkins, Ohio. 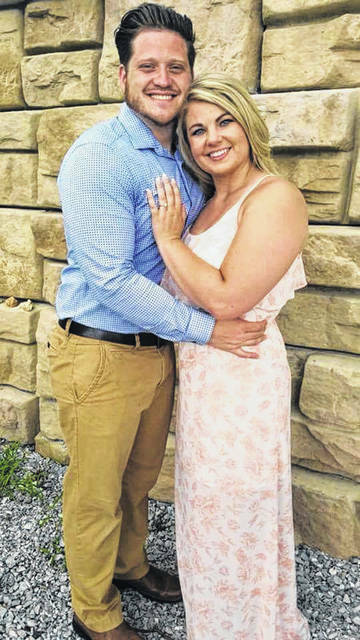 https://www.galioninquirer.com/wp-content/uploads/sites/38/2018/09/web1_Engagement.jpgCourtesy photo Brttiany Fullenkamp and Joseph Baker will be married Oct. 6 in Botkins, Ohio.